Right about this time of year, Tokyo is cheap, sunny (although cold), not too crowded, but most importantly CHEAP. Mysteriously, at this financially reasonable time of year, there is a huge influx of comedians from across the world…funny that, isn’t it? 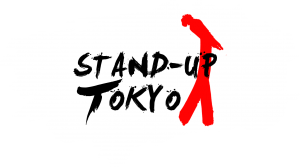 At Stand Up Tokyo we are lucky enough to be able to take advantage of that by offering one of Asia’s friendliest and liveliest comedy stages to other comics just like us. We’ll be welcoming three comics from Beijing and one from the US this week so get ready!